By definition, entrepreneurs take on greater than normal financial risk to make the idea in their head a reality. But why experiment with growth when you could hack it? Just ask the likes of Airbnb, Pinterest, LinkedIn, Facebook and Uber — not to mention IBM, Walmart, and Microsoft — universally recognizable companies whose brands are permanently embedded in the American psyche. 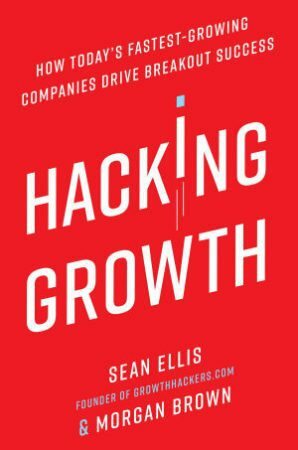 What they all have in common is the methodology laid out in the highly anticipated Hacking Growth: How Today’s Fastest-Growing Companies Drive Breakout Success, authored by Inman COO Morgan Brown and CEO and cofounder of GrowthHackers.com Sean Ellis. You can officially get your hands on your own copy of the book today. This roadmap for the aggressive upstart, determined entrepreneur and business stuck in the middle provides the practical toolkit necessary for getting out of neutral and onto the highway. Hacking Growth doesn’t leave readers in the theoretical but shows them how to remove the unknowns and replace wasteful big bets with a proof-laced plan built for speed. Eric Ries, bestselling author of The Lean Startup, said of the book: “In an increasingly erratic business landscape where new competition can emerge overnight, customers’ loyalties can shift unexpectedly, and markets are constantly being disrupted, finding growth solutions fast is crucial for survival. Catch Brown’s keynote address —- “Growth Hacking Your Way To Success” — with live insights from the book at Inman Connect San Francisco in August. And snag your own copy of Hacking Growth, available on Google Play, Amazon, BarnesandNoble.com and more.